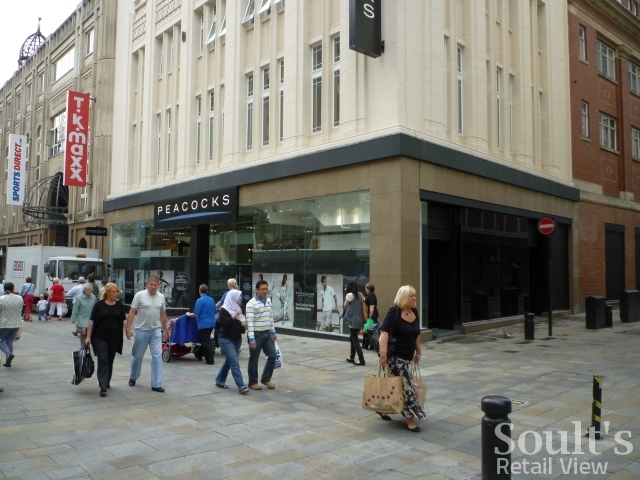 Upmarket chocolate specialist Hotel Chocolat is to open a store in Newcastle city centre, it has been revealed – its most northerly standalone shop to date. 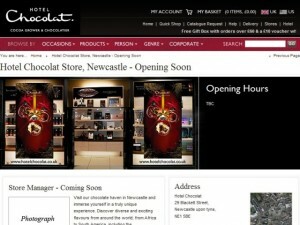 As highlighted by Flange at SkyscraperCity, Hotel Chocolat is set to open at 29 Blackett Street, close to Grey’s Monument. That site has been empty since early 2009, when the previous occupant, Ecco shoes, moved out. 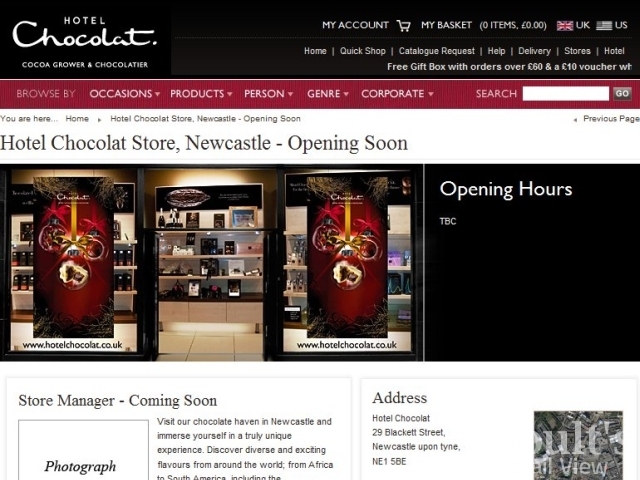 The Newcastle store comes at a time of expansion for Hotel Chocolat, following its £3.7m fundraising – through the sale of ‘chocolate bonds’ – earlier this year. Other new stores are set to open this year in Belfast, Guernsey, Jersey, Kingston-upon-Thames and London’s Leadenhall Market, taking the retailer’s UK standalone store count to more than 50. Hotel Chocolat already has a shop at MetroCentre, opened in 2006, as well as selling via John Lewis stores, but this will be its first standalone high-street store in the region. As yet, there are no Hotel Chocolat stores in Scotland. The arrival of Hotel Chocolat is another vote of confidence in Newcastle city centre, which has had a pretty strong year given the economic climate. Several long-vacant units have found new occupants (such as Peacocks in Monument Mall and Millets in Market Street), while many of the units freed up by retailers moving to St Andrew’s Way have been quickly taken over by other stores. With US fashion chain Urban Outfitters set to open on the old Green Market site next year, there is a sense that the area around Grey’s Monument could be turning into Newcastle’s fashionable retail quarter, attracting the types of names for whom Northumberland Street is perhaps too mass – or even down – market. With its Grainger Street shop sat in the middle of these new arrivals, one retailer that will need to up its game in the face of Hotel Chocolat is the traditional market leader, Thorntons. Amid own-store sales falling 4.3% in the first quarter of this year, and no chief executive currently in place, Thorntons has struggled to define its market positioning in recent years. This may only get worse if Thorntons’ plans to “localise in-store ranges” comes to fruition, accentuating the divide that already exists between some of its smarter stores, in good locations, and the more dowdy, uninspiring ones. What Hotel Chocolat gets right – and Thorntons often doesn’t – is that if you are buying quite expensive chocolates you need a little glamour and sense of luxury to go with it. With the former’s like-for-like sales growing at around 15% this year, Britain’s chocolate lovers certainly seem to be voting with their wallets. Next story Shop Direct’s move to protect the Woolies brand – Wellworth the bad press? Eldon Square’s St Andrew’s Way opens today (16 February 2010)!